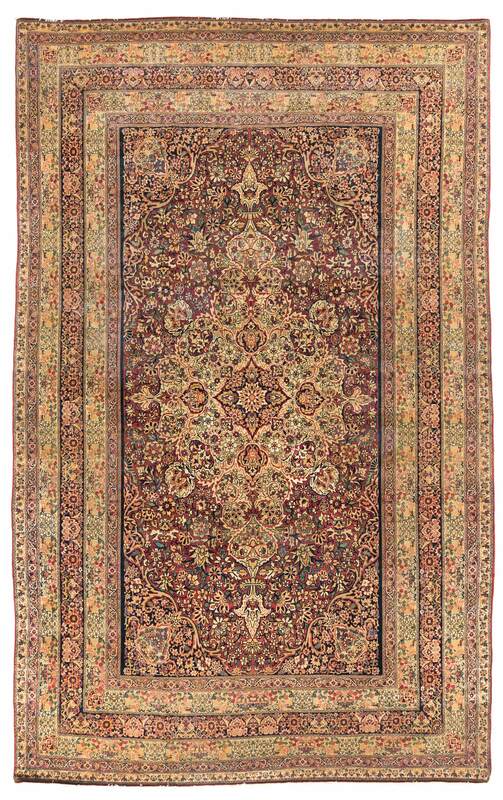 Nahigian Brothers Collection / Antique Persian Lavar Kerman 9'9"×15'5"
This is a very fine Antique Persian Lavar Kerman carpet woven in the late 19th century. 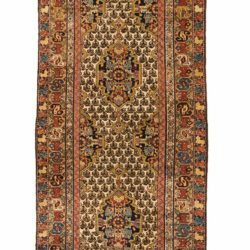 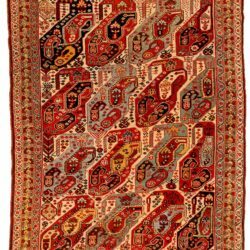 Lavar or sometimes Ravar is the name given to rugs and carpets woven in the town of Kerman but are of finer and higher quality then the rest. 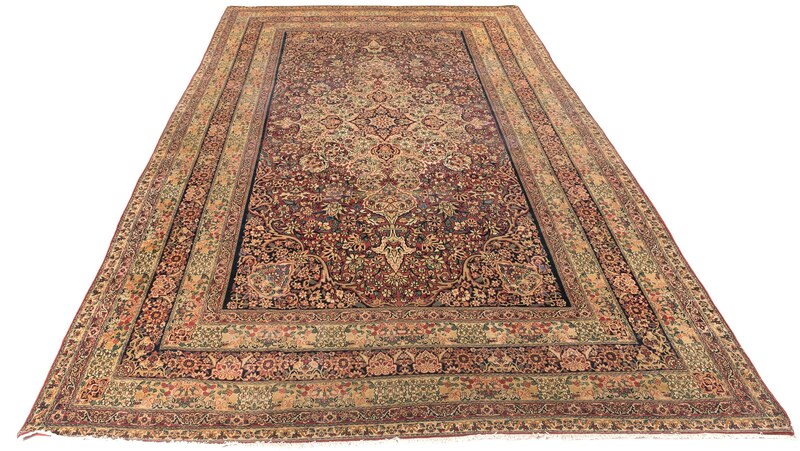 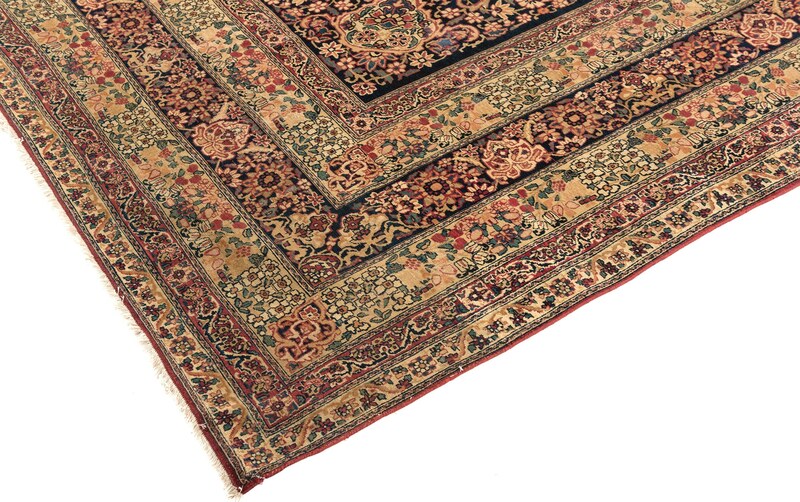 Highly decorative antique carpet that complements both antique and modern settings.